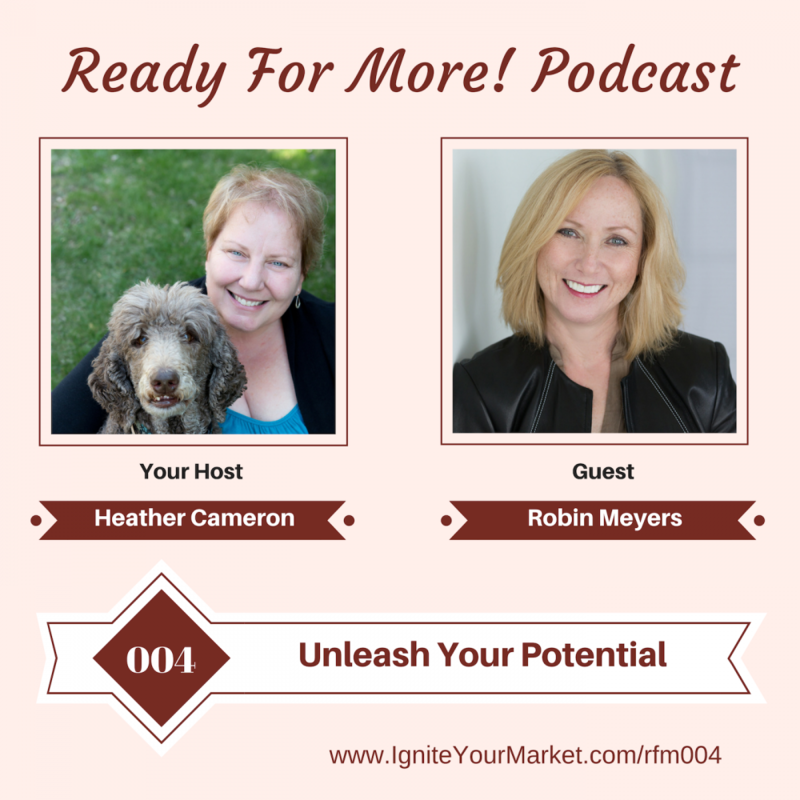 Listen in as Heather and Robin chat about finding yourself and reaching for your full potential by starting with taking care of yourself first. Robin shares her own experience of how she has been able to find and live the life that she has always desired. Robin Meyers is the owner of Navigate& Empower. Robin’s mission is to educate and empower women to live fearlessly. Robin believes that you have the power to activate bold choices and live the life that you want and deserve. Today, Robin is an international speaker and has been on stages in the US and Canada. She is the Amazon bestselling author of “Alone but Not Lonely,” and radio host of Activate Bold Choices: The ABC’s To Live Life Fearlessly on BBM Global Network, Tune-in Radio, and I-Heart radio. Robin has over 25 years of experience in the corporate and non-profit world in education, training and mentoring as well as a Master’s of Science degree in Molecular Genetics. Robin’s goal was to live the life that she had always desired and envisioned. Now that she has been able to achieve exactly that, she has a new goal: To help as many people as possible to achieve their vision as well. Whatever your dream life looks like, Robin is here to not only tell you that it is possible but to help you make it become a reality. However, it is up to you to allow yourself to unleash your potential. Activate Bold Choices and live the life that you want and deserve fearlessly and unapologetically. 4:55: What about us? What are we going to do with our lives? 9:35: It’s not intuitive – you need to be able to say it is my time. 12:53: How do you define yourself? Getting from playing small to playing larger. 17:46: Give yourself a minute to pat yourself on your back. 23:00: Am I good enough – am I an imposter? There is only one of you. 29:21: Design the roadmap that you want. 38:00: What is the one thing you want to do? What do I need from today?